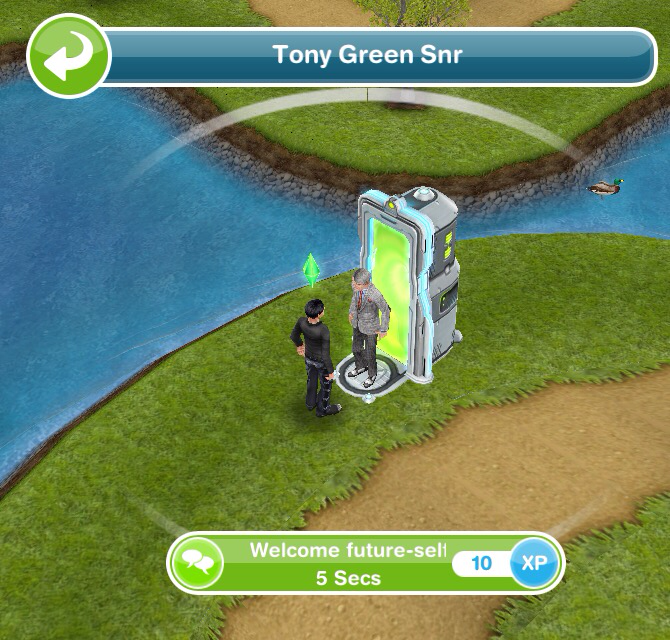 You can now age your adult sims to Seniors– but you will need a birthday cake! Is the prize worth it? Yes, it’s not just for seniors, adults and teens can use it too! Can I complete this quest even though I have passed level 23? Hi, something very strange has happened when I was working on the task “Build the Bingo Hall”. When I tapped on the icon, it says on the requirement 24 hours. 15 mins later, I checked the timer again as I wanted my sim to start the fishaton, and the Bingo Hall timer says it still has 35 hours and 45 mins left. Is this a glitch or did they change it without updating the info box (icon info)? you need to build it to complete this quest. Can I use a neighbors snow park to complete the quest, or do I have to build my own? Thanks. Help! I’ve completed the Ghost Hunters quest. This quest is not popping up for me. I thought ‘Ghost Hunters’ was the one before Seniors. Can I use the weather machine to freeze a pool for skating if I don’t have the snow park? I’m so glad I built the snow park before this! you need to complete the senior quest to turn adults into a senior. I’ve tried using an adult senior and it tells me to come back when i have a senior. I’ve never had seniors come to town to complete this quest as i had quit playing so i had 25 back quests to do and i have completed them all but the three your have to do with a senior. If I just don’t do the life dreams and legacies quest, will they still automatically die? If i got a senior sim can a senior sim die? Because i read that you have to Complete goals and say goodbye to your sims while your ready after you Complete the life and legasies quest , how does IT work? Sims will only die once you have completed the life dreams and legacies quest, they age automatically.They will not start dying when you do this quest. 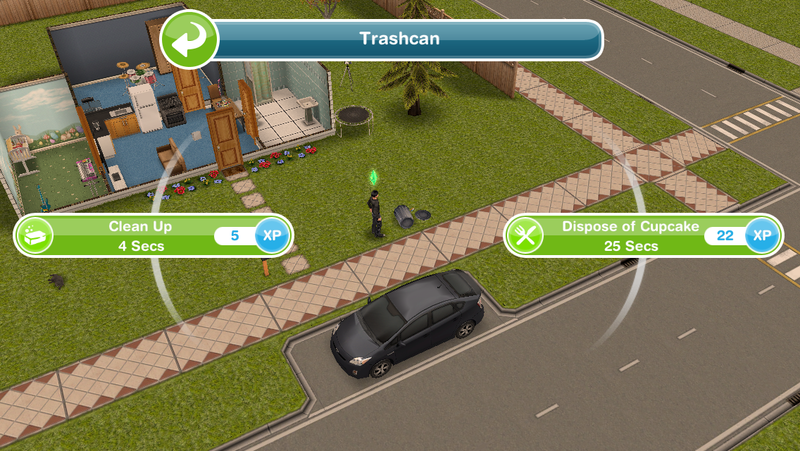 it should be an option on the trash can, if not, try restarting the device, hopefully the option will appear. Can we go to a neighbour town to their ice park and do the figure ice skating there? 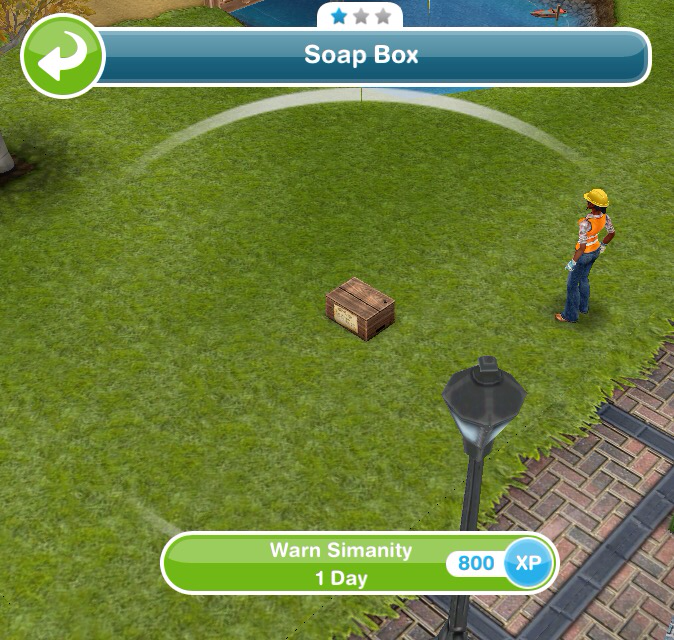 Yesterday I started the “warn simanity on a soap box” action, and it finished this morning, so I went to the park, got the confirmation that I finished the task, but then a new task never showed up, and it’s asking me to “warn simanity on a soap box” again! Any suggestions to avoid me blowing 23 LPs to complete an action I’ve ALREADY completed? 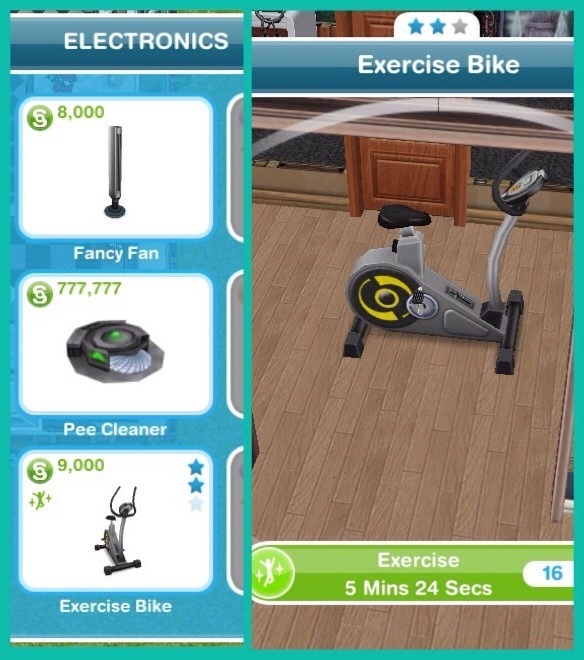 I am UNABLE to woohoo with a sim!!! there is NO option to with ANYBODY in the house!!! 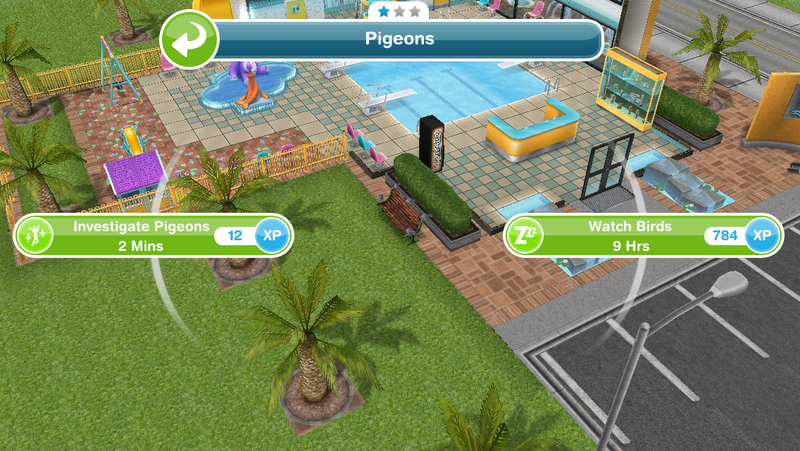 I went into a room with NOBODY ELSE in the room so it IS private but STILL NO OPTION TO woohoo with a sim!!! Google DOES NOT SHOW ANYTHING RELEVANT TO MY PROBLEM!!! WHAT AM I DOING WRONG??? 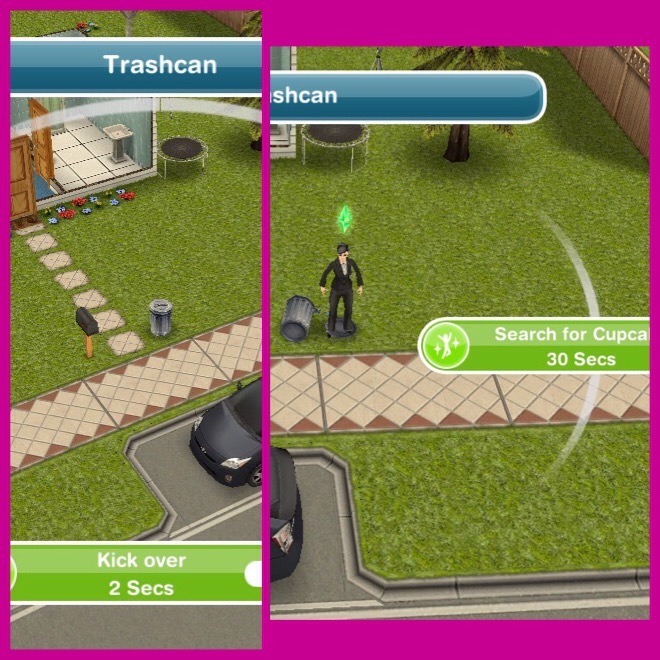 Your sims need to be romantic until they become partners, then they will be able to woohoo. In the senior quest the snowball fight won’t accept it when I finish it after the 2 hrs. I tried many Sims and spent my Lp to have it finish automatic a couple of times costing me 4 Lps and still didn’t work. HELP PLEASE!! I have 2 days left to finish it on time. Does an adult have to do the ice skating or can one of my teens/pre-teens? Those are the ones I have that are ice skaters-no adults. Thanks in advance! I think your teen or preteen should be able to do this but I have only used an adult for this so I am not completely sure. I can’t comple this quests because it requires for me to do the Life and dreams legacy quest, so I can’t build the Bingo Hall. Hi! I love your blog! It helps me a lot! Anyways, whoever is on this quest, I suggest you build the snow park (if you haven’t already) before the task “go to the snow park” because I hadn’t built it yet and soo had to wait 66 hours , and I lost the limited time prize!!! Can I complete this quest even though I am passed level 23? I am on the Seniors quest, mine was for days. I just rushed the build of the snow park and started the figure skating task. 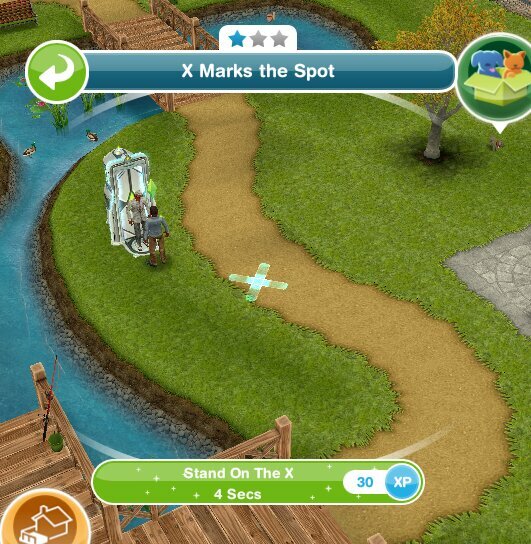 I also had a sim start the fishathon so it will be halfway done by the time I get to it. I have two days left to finish the quest. 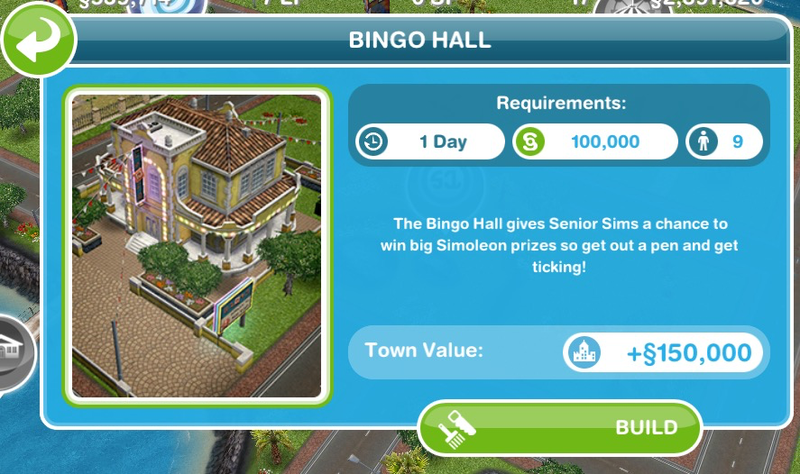 I wanted to start building the Bingo Hall (just saved up enough simoleons to build it), but it says that the Seniors quest must be completed as a requirement to build. Is this no longer a part of the Seniors quest or a glitch? If it is no longer a part of the quest do you know what has replaced it? Thanks! Love your blog, it’s so helpful! , I want to build the snow park for the seniors quest but when I try to, it says the sun bathe beach is under construction but when I go there, it’s not there.. What must I do?? The sun bath beach is on the romantic island, have you checked the romantic island? You will need to click on the sun bath beach to finish building it before you can build the snow park. It says that for me too and when i go to the spot it should be there is nothing there. HELP!!!!!!!!!!!!!! You will need to contact EA about this problem as I am unable to fix technical issues. I did the Warn Simanity earlier, i don’t know yet it will be effective. will it be like one of those “goal can be started early” because you haven’t stated it if it can be done. You should be able to start it early, let me know if you were able to and I will write that in the post. Hi, if I’ve build the snow park prior to the start of this quest, can I start to do the ice skating in the snow park while I’m doing the “warn simanity” quest? It won’t work because the goal before it is go to the snow park so when you get to the snow park your sim will be finished skating so you will have to start them skating again as they have finished before you get the goal. I will stop before life dreams and legacies quest I don’t have the snow park yet should I build it or just not finish the quest. You will need the snow park for this quest so it depends if you are stopping on this quest or not. If you are stopping here you don’t need to build the snow park but if not you will need the snow park to complete this quest. Hello, to start I want to thank you for all the great information you’re giving me and other players here on this site. It’s been very helpful. Concerning this quest I have more of a suggestion than a question. It might be helpful to mention the fact that you’ll need a snow park for this quest at the start of the description. That way people can start building it a.s.a.p. Help! I have finished my fishing, but now my senior is missing I can’t find him! 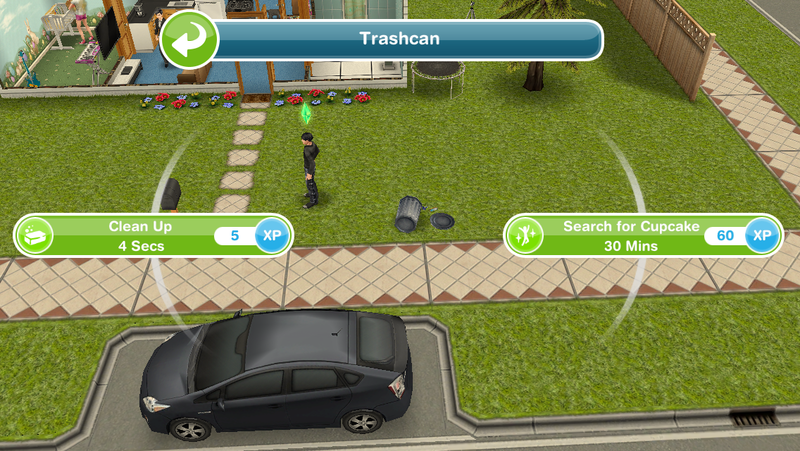 Can you not see him on the simtracker? I wonder whether my senior Sims will die after some time or do I have to complete the last quest first? I have been told that seniors die some time after this quest. Your sims only die once you have completed the life dreams and legacies quest as they start to automatically age on that quest. Hi! I am up to building the snow park, but I just read this post, and realised that I still need to do things with the senior in the park, but I deleted the sim that i used for the senior. Do you know if I could use a different sim for the tasks that require someone to interact with the senior? By the way, I love your blog. It has helped me so much! You should be able to use a different sim for that! I think it’s unfortunate that the quests don’t let you age one sim for free after completion. Anyway, I suggest that anyone who needs a senior sim for something bakes a birthday cake while/before completing this quest. For example, I need a senior sim to play bingo for a weekly quest goal and I spent one day finishing the quest (was on the fishathon goal) and now I have to wait another day to bake a birthday cake because I forgot. Hi! I love your blog!! Is the fishaton task asked after the bingo hall is completely built or immediately after you start building it? Thanks! The fishing goal will appear once you finish building the bingo hall but you can start someone fishing early. Being a senior myself, I think I’ll stop doing the main quests at this one. No need to play at aging, etc. 🙂 There are still plenty of discovery quests to do. I greatly appreciate your site, your step by step explanation of the quests, your general advice (especially on how to gather LPs! ), and MOST especially your unending patience for answering all our questions (even when asked over and over and over again). When you get to the partake in bingo option, it says use an ADULT Sim to do so, but when I click on the bingo hall it keeps telling me to come back with a senior sim! How can I complete this portion if it won’t let me use my adult sims as directed?? Am I doing something wrong?? 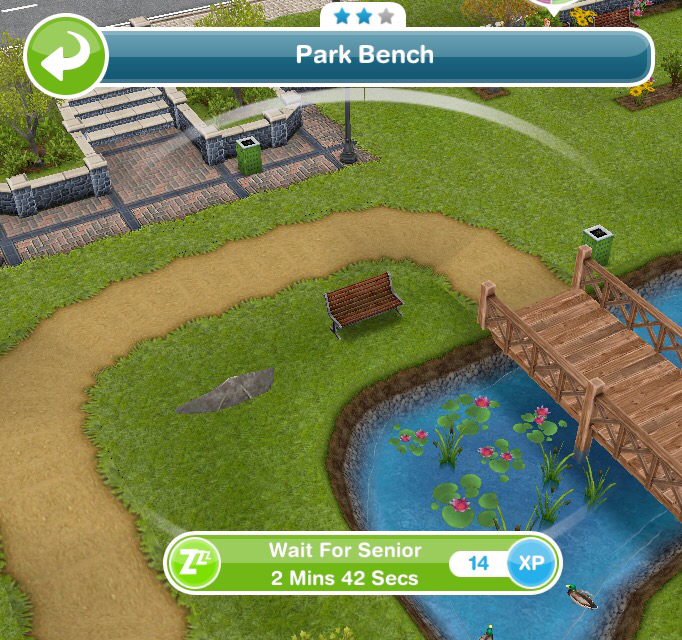 The task is to partake in the 24 hour fishathon so your adult sim needs to go to the park and click on the fishing rod and select that option to complete this task, you do not need to use the bingo hall. Can the “warn simanity on soapbox” be started early? No you cannot start this one early on this quest. I build the binggo hall but i don’t have senior sim. And to build up the senior sim must complete the binggo hall quest. Please help me to complete this mission. You don’t unlock seniors until you complete this quest, all you have to do for this is build the bingo hall, you don’t have to use it. Hi, your blog is really helpfull, I don’t know how I could play this game without reading it before! So thank you for everything! I have a proposition. Maybe you should make post with informations about which building do we need in Simtown to complete various quests? ‘Cause I’m doing the Seniors quest and only when I started it, I read this post and the information about Snow Park and I can’t complete this in the time limit because I didn’t know earlier 😢 It’s really annoying. Could you make a post about buildings we need for each quest, please? I’m glad it helps! 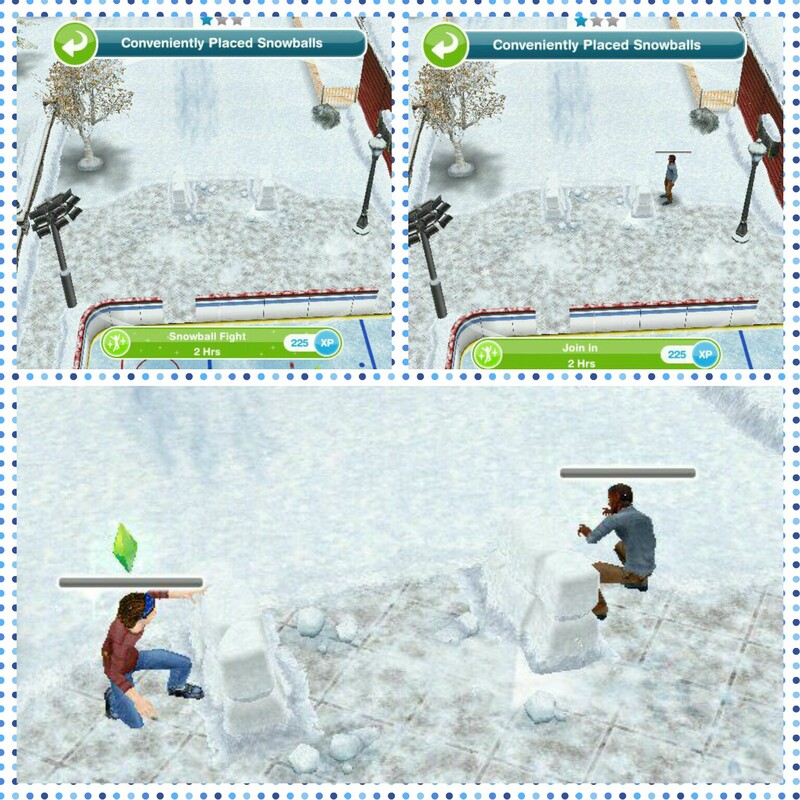 I already have a post about that: https://thegirlwhogames.blog/2014/06/03/the-sims-freeplay-when-to-construct-buildings/ 🙂 It also says on the previous quest post you need the snow park for this one. Hi, just wondering, how do I stop a quest? And I found out the multi-story renovations, it’s sad because I want the second floor but I need the snow park. I wish it was free after the quest. How do I stop a quest? You cannot stop a quest, you can leave it until you see ready to do it but the time limit will end so you won’t get the time limited prize. 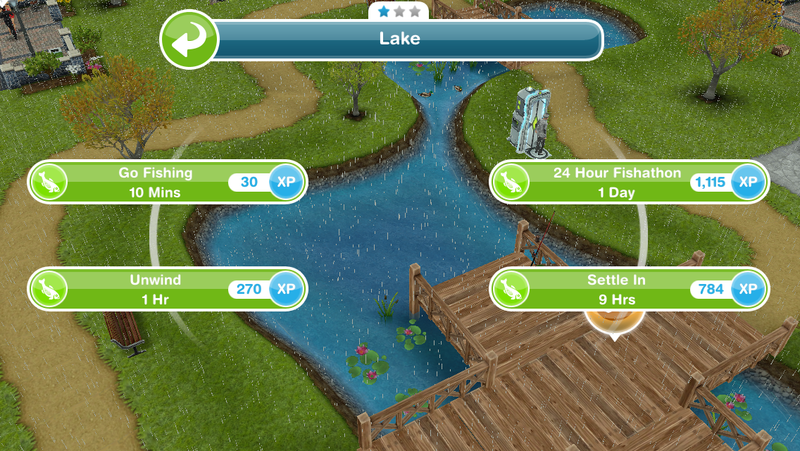 I don’t have senior sim, how can I pass the task to PARTAKE IN A 24 HOUR FISHATON? if they need to senior to play the bingo hall? You use an adult sim to complete the fishathon and you only build the bingo hall in this quest, you cannot use it until you complete the quest and age an adult to a senior sim. i haven’t build the snow park yet. but still ask to visit the snow park. so confused. You need to build the snow park to be able to complete this task and complete the quest. How can I finish the seniors if I don’t have the snow park. 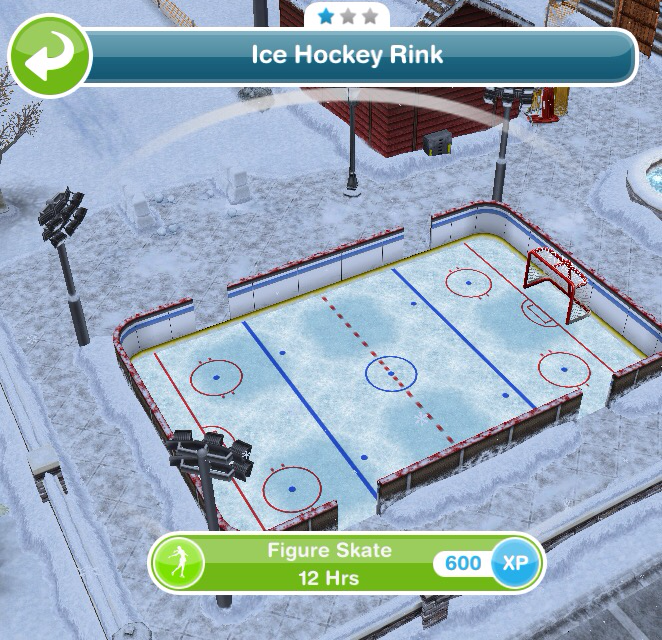 The only way to finish it is to build the snow park so you can send your sim there and complete the quest. I want to ask a question. Why the price of the houses and buildings always increase? Last time i check it was 200.000 and then it increase 250.000. why it can be like that? 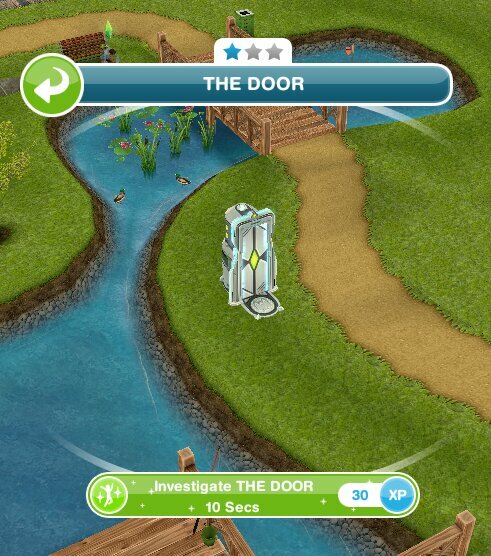 Oh no unfortunately I cannot fix technical issues so you will need to contact the makers to see if they can get this fixed for you, this post explains how if you are unsure: https://thegirlwhogames.blog/2016/05/29/the-sims-freeplay-contacting-ea-firemonkeys/ I hope they can sort it out!